10 piece unit. 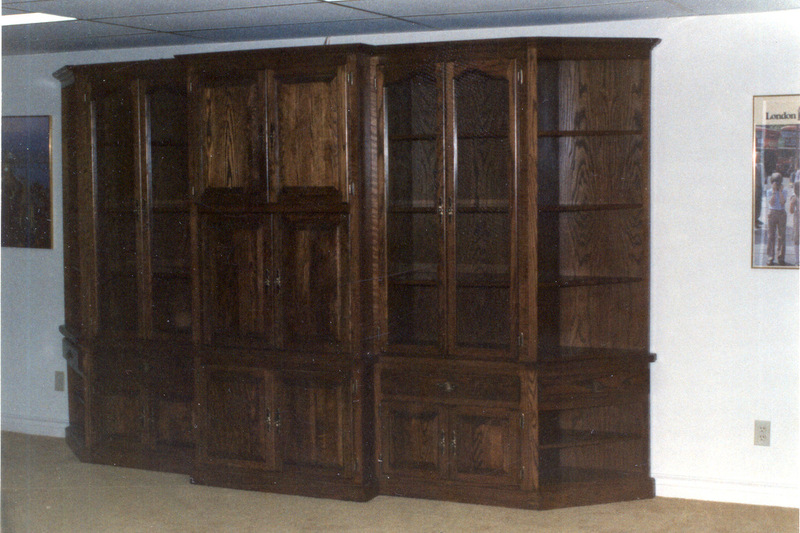 Solid oak with raised panel and glass doors, open shelves. Dark walnut stain with lacquer topcoat. 7′-6″ high, 12′ wide. 6 piece wall unit. Solid oak. Natural. 7′-8″ high, 12′ wide, fit snug wall-to-wall. Open upper shelves and lower raised panel doors. Scanned photo. 1980’s. 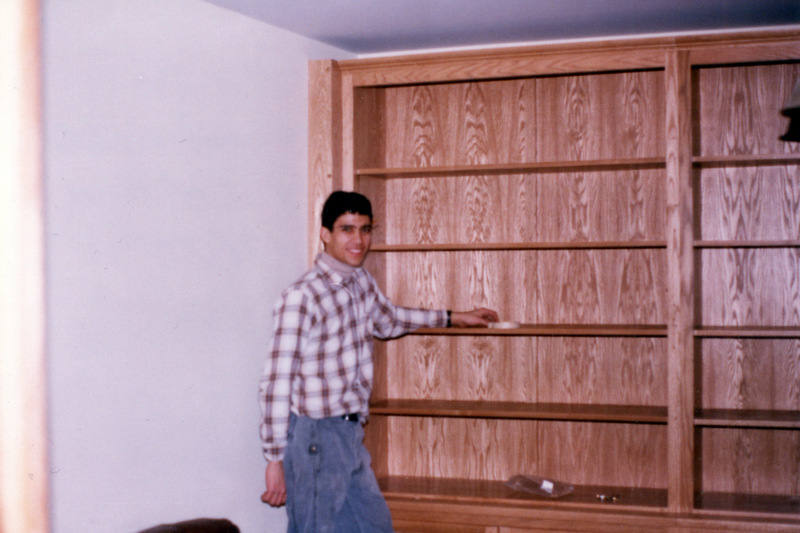 How young I look in those old photographs!